SREC stands for Solar Renewable Energy Certificate, A.K.A "Green Tags". In an effort to push the Green movement, States have mandated that utility companies generate a certain percentage of the electricity they sell from renewable sources. 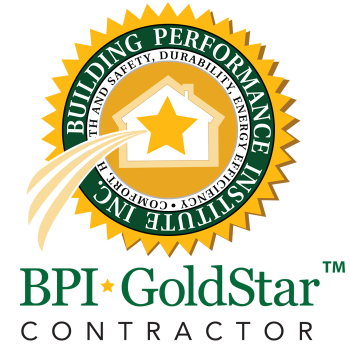 These companies purchase SRECs from private PV system owners in order to meet these obligations. Owners of solar projects developed through the Renewable Energy Incentive Program (REIP) will receive a letter from New Jersey’s Clean Energy ProgramTM once their projects have been completed, providing them with their New Jersey certification number and instructions on how to establish an account with the SREC tracking system known as PJM-GATS.. Once an account has been established, it can be accessed from the log in page. Each time a system generates 1,000 kWh of electricity an SREC is earned and placed in the customer's electronic account. SRECs can then be sold on the SREC tracking system, providing revenue for the first 15 years of the system's life. 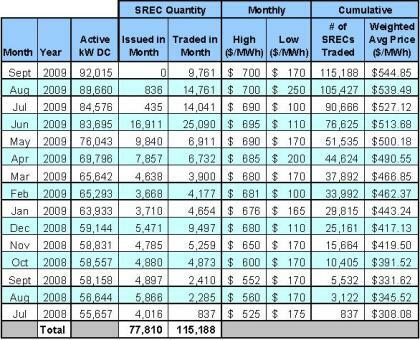 Below are listings of SREC prices from 2007-present. As SRECs are traded in a competitive market, the price may vary significantly. 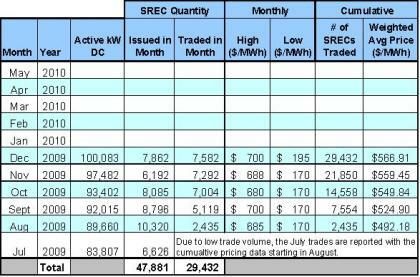 The actual price of an SREC during a trading period can and will fluctuate depending on supply and demand.